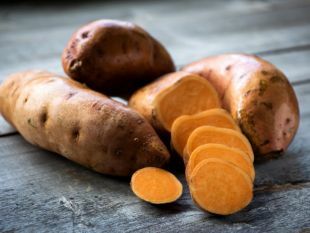 The sweet potato isn’t a potato, and now we know it isn’t from the Americas either, as had been thought, after a 57-million-year-old fossil looking very much like an ancestor of the tuber was found in India. The fossil leaves found in Meghalaya, northeast India, have the hallmarks of morning glory – a vast family of flowering plants that includes sweet potatoes. Indiana University Prof. Emeritus David Dilcher and colleagues in India identified the leaves and dated them to within a few million years of the great dinosaur wipeout. 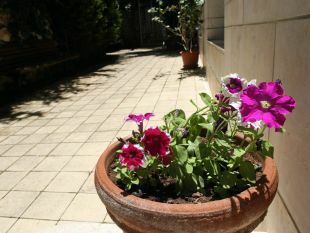 Previous evidence had suggested the morning glory family originated in North America about 35 million years ago. Dilcher and the group now postulate that morning glories originated on the part of the crumbling Gondwana supercontinent that would become Asia. Morning glories (aka Convolvulaceae) are a member of an order called Solenales, which includes all morning glories and nightshades. Solenales today include a vast range of edibles like potatoes, tomatoes and bell peppers; flowers like petunias; and a host of noxious weeds – including tobacco. So, though they are distantly related, the sweet potato is no more a potato than it is a tomato or a cigarette. Other previous research had found fossil nightshades – specifically, what seems to be the father of tomatillos – dating to 52 million years ago in Argentina. At the time, the thrill was that nightshades were even older than thought, but the discovery definitely supported the American-origin theory. Now the team reports 57-million-year-old fossil morning glory in India. And since both the nightshades and solenales originated from the same ancestor, the origin story is up for grabs again. That’s the thing about fossil evidence: you can only go by what you find, and we find precious little. “Morning glory fossils are rare because the plants’ soft structure was not easily preserved in rocks,” the scientists write. In any case, the theory that morning glories arose about 35 million years ago, no more, had already hit a snag even before the Indian revelation. The “molecular clock” theory says, roughly, that the greater the genetic difference between two species, the more distant their split from a common ancestor. Molecular analysis had suggested the sweet potato originated earlier than 35 million years ago. The scientists also say it seems the morning glory family and the nightshade family split earlier than previously thought. In short, it now makes sense that after the split, the sweet potato developed in eastern Gondwana, while the nightshade developed in the west. The leaves were discovered by Gaurav Srivastava and Rakesh C. Mehrotra of India’s Birbal Sahni Institute of Palaeosciences. DNA cannot possibly be extracted from fossilized tissue, only from preserved tissues that have not turned to stone. Their identification was based on microscopic analysis of the shape and structure of the leaves, and of the veins and cells within the plants. Note that nobody is saying they found the first sweet potato. They’re saying they found a plant belonging to the genus Ipomoea, which belongs to morning glories – which includes sweet potato and also hundreds of other plants, mostly inedible.